The chancellor has been taken to task by MPs about the lack of diversity at the top of the Bank of England. Nicky Morgan has written to Philip Hammond asking for evidence proving that "all efforts" are being made to encourage gender and ethnic diversity in its recruitment process. The Treasury Committee's concern follows two recent appointments to the Bank's rate-setting committee. 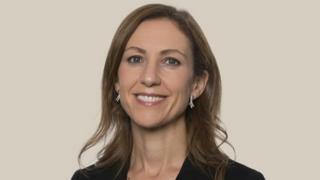 Silvana Tenreyro is now the only woman on the Monetary Policy Committee (MPC). She replaced Kristin Forbes, while deputy governor Sir Dave Ramsden filled the other vacancy on the MPC. That seat had previously been filled by Charlotte Hogg, who replaced Minouche Shafik in February. However, Ms Hogg resigned the following month for failing to declare that her brother worked for Barclays, which was deemed to be a conflict of interest. Ms Morgan has asked the chancellor for "specific confirmation that all efforts are being made to encourage as diverse a range of candidates as possible" and that recruitment processes for the Bank's policy committees followed the same rigorous standards used for other public appointments. The letter asked the Treasury to publish recent data, including a gender breakdown of applicants seeking a position on the MPC and the Financial Policy Committee. Ms Morgan said her committee wanted to hear evidence from Mr Hammond or another minister or senior official on the issue. Interviewed on the BBC's Today programme, Ms Morgan said it was important that the Bank led the way on diversity. "The Bank is a role model for the rest of the City of London. It sends a message that if they can change everyone can change." Ms Morgan, a former Minister for Women, said that while her committee was happy to approve the current appointments, she would like to see a more diverse selection of candidates considered in the future. Mark Carney, the Bank's governor, told the Treasury Committee this week that the number of women in senior positions at the Bank had steadily increased in recent years. However, he admitted there was a gender pay gap at Threadneedle Street because "there's a lot more men than there are women" in senior roles. He said measures being taken to improve diversity included training staff about "unconscious bias", blind panels, promotions and recruiting from a broader range of disciplines than economics alone, which tended to be more male-dominated. Sir Dave Ramsden told MPs on the Treasury Committee there was a "real issue with the gender balance in economics. "It's two-thirds male, one-third female. The problems go all the way back to schools - why girls don't do A-level economics, why young women don't go and study economics at university?" He said the issue was "collectively" up to organisations including the Treasury, government and Bank of England to address. This week the Treasury Committee has opened a separate inquiry into the barriers that women face in entering and progressing in the financial services industry.